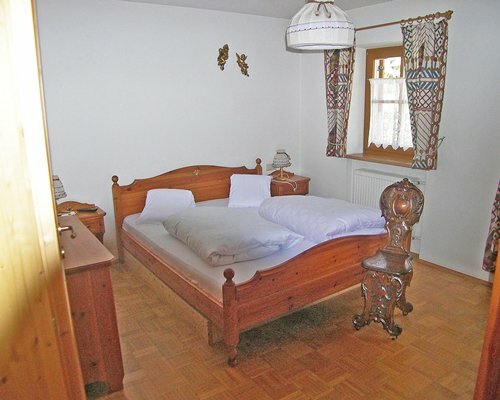 Bachlaufen Haus is a small, typical Austrian style chalet in Sesto at .81 miles (1310m) elevation, at the end of the Val Pusteria in Alto Adige region near the Austrian border. 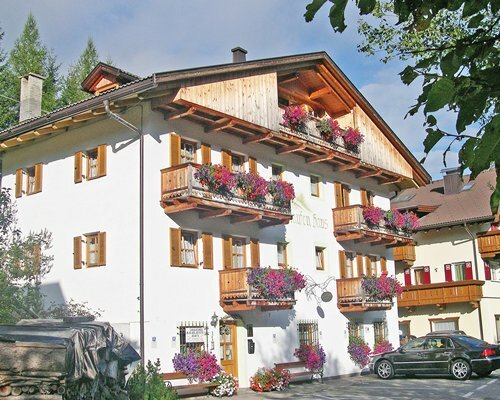 The entire area is full of ski lifts and is included in the famous Dolomiti Super ski pass. 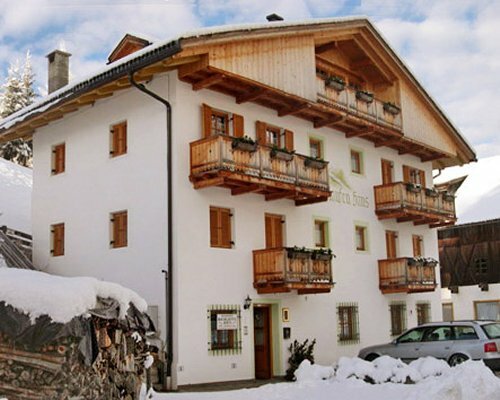 Moos also offers a great deal more variety and S. Candido also has a toboggan run, and during the winter the ski school also organizes courses for children. 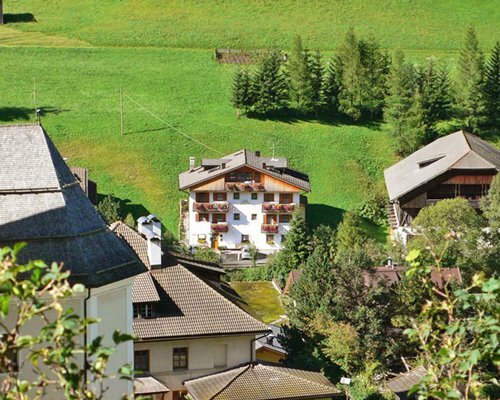 Summertime offers excursions throughout the beautiful Italian Dolomites, marked walking trails, and rock climbing. 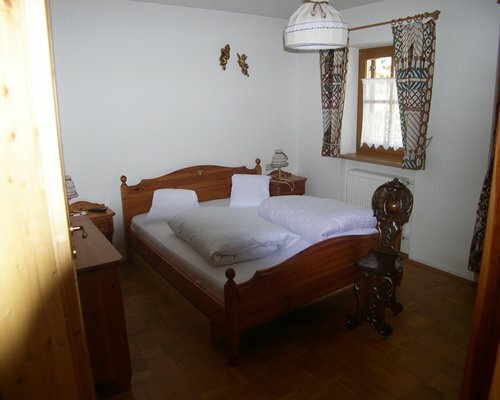 Brunico, Cortina d'Ampezzo and the romantic setting of Lago Braies are nearby. BY AIR: Verona airport, 240 Km; Venezia, 200 Km. BY CAR: From Venice airport go to motorway, take direction Vittorio Veneto. Motorway finishes at Ponte Nelle Alpi. Continue to Pieve di Cadore. Take right fork passing through Calalzo, St. Stefano /Cadore, Comelico, Passo M. Croce and finally Sesto. From Verona O Austria: Take Brenner motorway and exit at Bressanone. 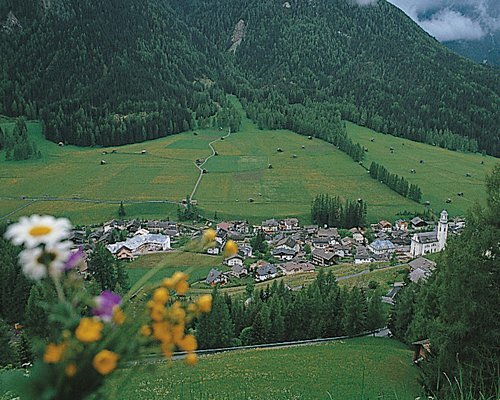 Drive the full length of Val Pusteria. Just before S.Candido, turn right to Sesto /Sexten 6km. After 'Piol' & 'Appartements Heidi', turn right on the little bridge then left. The second chalet on the right hand side is the resort.